“Everything you need, nothing you don’t”. 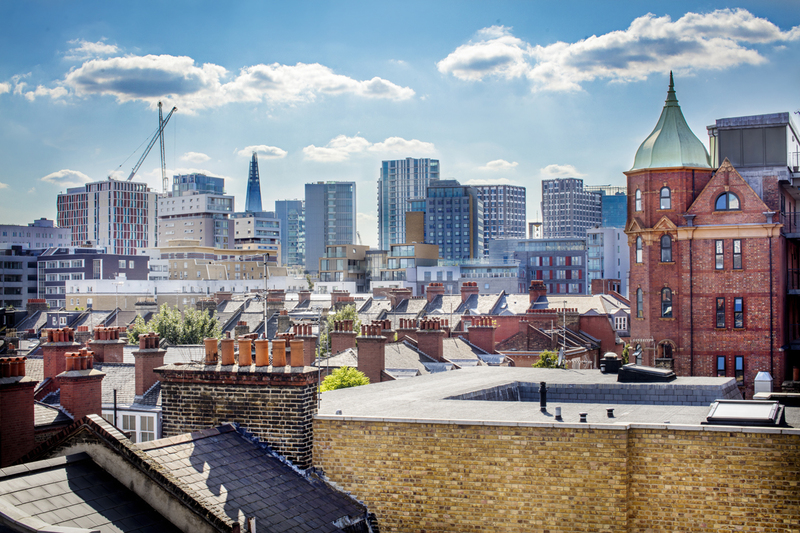 New warehouse conversion 80 bedroom boutique hotel conveniently located for London City Airport, Excel, Brick Lane, and Aldgate. 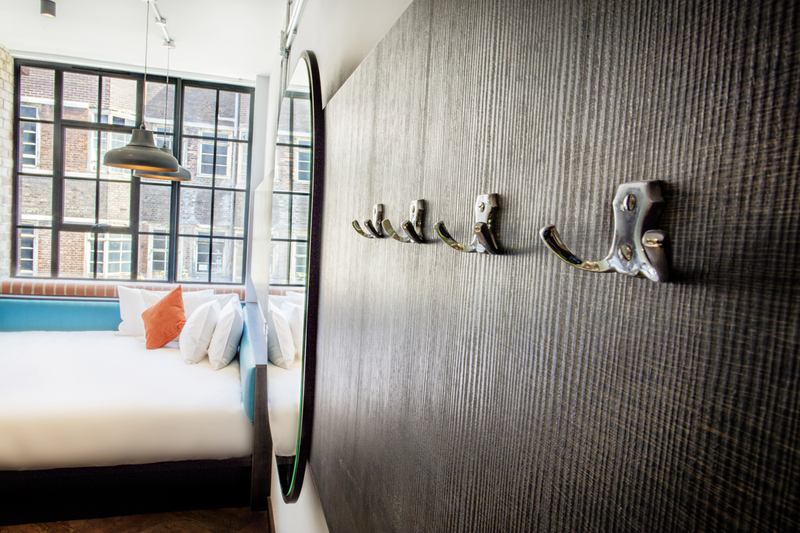 Cool factory décor can be found throughout and in the hotel’s 80 boutique bedrooms. 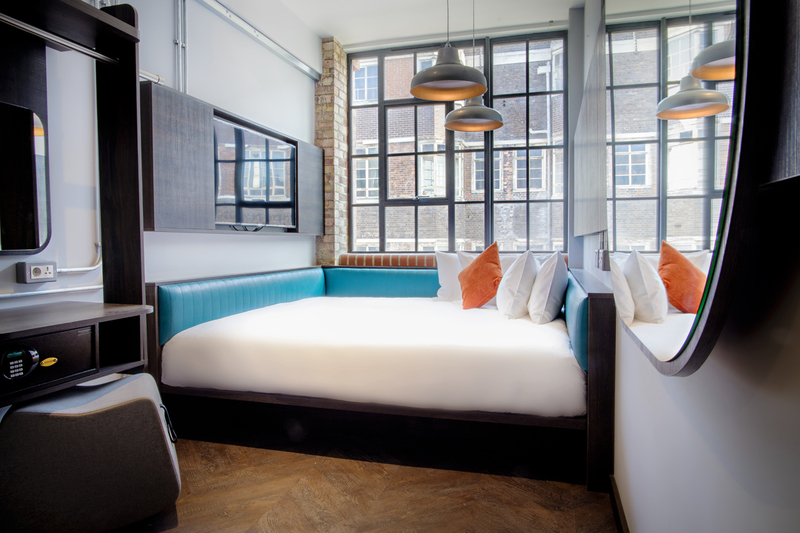 Rooms are cleverly designed to maximise space whilst keeping the buildings original textile factory features. All 80 bedrooms are complete with a 49” flat screen TV, Hypnos bed, rainfall shower, unlimited tea & coffee, air-conditioning, Handy mobile phone, Wifi and Heaven toiletries. Each floor features a vibrant hub of activity, social spaces to work, rest and play; including a games floor, coffee and snacking refuelling station and a pre-work prepping station complete with irons and ironing boards for those needing to straighten up before a meeting! Warehouse X room – features a 2m x 2m bed – so that you can sleep well, in any direction. H Loft – including all the signature elements of the Warehouse X rooms with the added feature of its own private Hot Tub on the terrace, and sweeping city views. 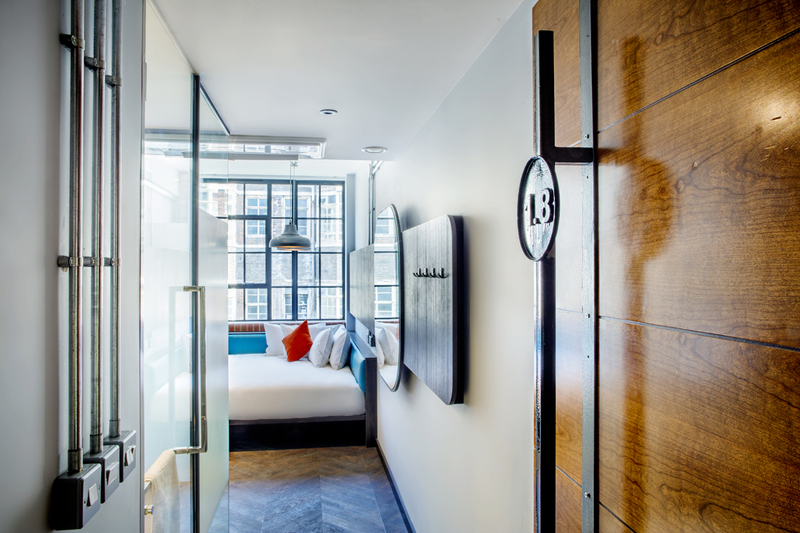 J Loft – Unwind after a busy day in the city in the J Loft which features its own Jacuzzi bath and Heaven by Deborah Mitchell Toiletries. 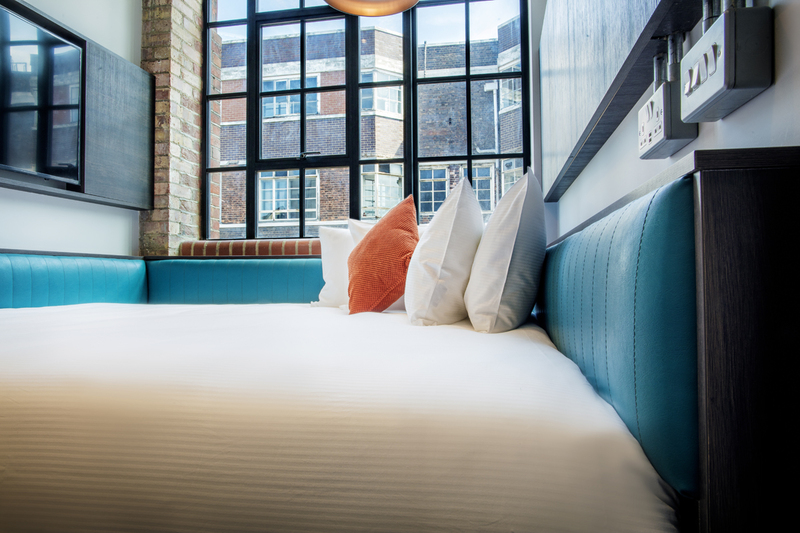 The hotel will be home to Mr White’s English Chophouse, a Marco Pierre White Restaurant, serving a classic menu for lunch and dinner in a relaxed, urban chic setting. Chophouses first emerged in London in the 1690s serving individual portions of meat, known as chops, to their wealthy customers. 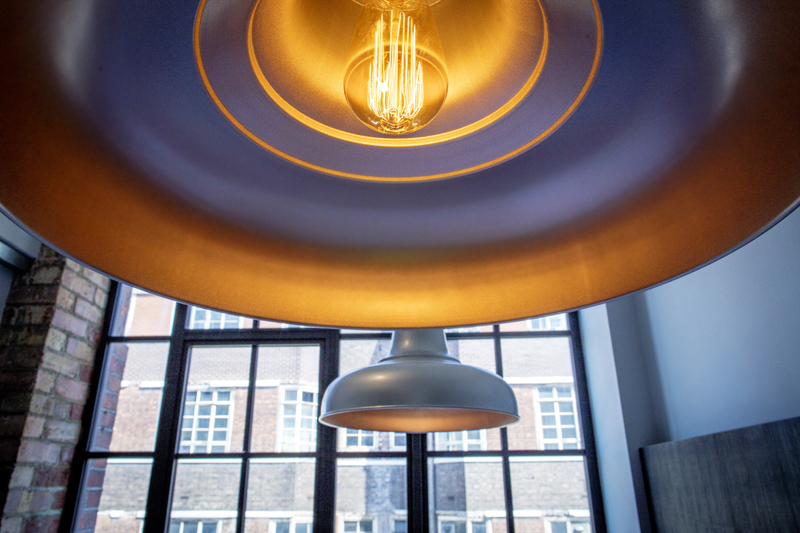 Mr White’s aims to keep the British chophouse tradition alive – serving traditional dishes within glamorous surroundings. With a maximum capacity of 80 people, Mr White’s English Chophouse will be available for private dining and functions. Smaller private dining can be accommodated in the hotels two, casual meeting rooms. Cereal Grind, the hotels in-house cereal and coffee café offering an alternative for breakfast & lunch, choose from Cereal Cocktails to Cappuccinos to Crazy Shakes, perfect for getting your buzz on in the morning or as an afternoon pick-me-up. The Kitchen, and The Lounge ideal for board meetings and brain storming respectively. The adjoining rooms can be opened up to accommodate for larger groups, or used as two separate spaces. With natural daylight and a flexible fixtures these spaces provide ideal hubs for creative minds to meet.